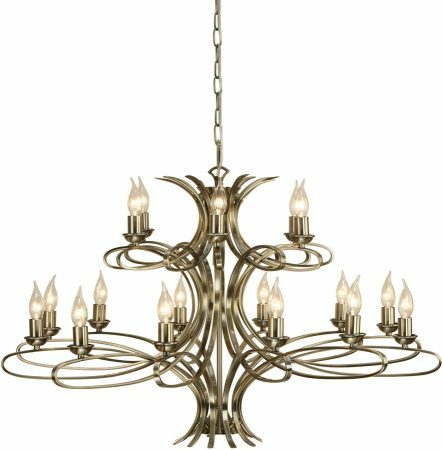 The Penn large contemporary 18 light brushed brass chandelier incorporates elegantly curved arms and is finished in a brushed brass finish. 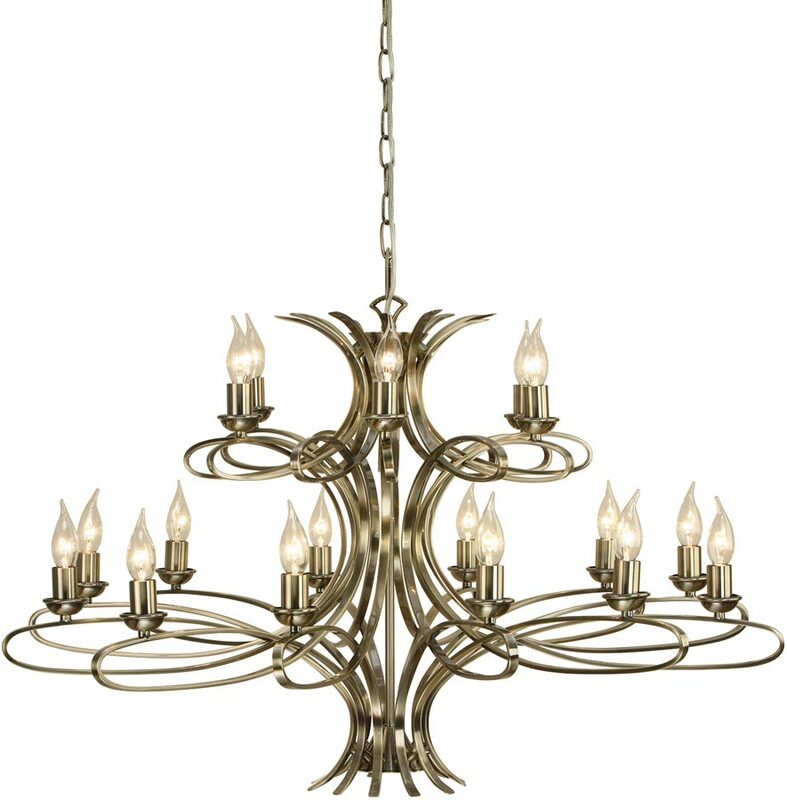 An opulent large chandelier, with a modern twist on a traditional theme and featuring the best in British design. 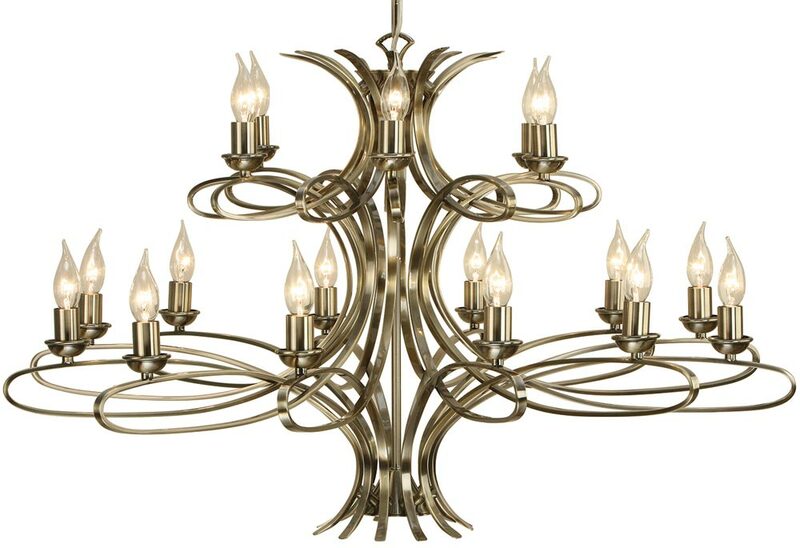 A very large, magnificant, contemporary 18-light brushed brass two-tier chandelier. Twelve lights on the lower tier and six lights on the top, featuring stunning sweeping double curved ribbon arms and central rod, with brushed brass finish suspension and candle tubes. Height adjustable at the time of fitting, minimum height 83cm, maximum drop 182cm. This is a very large chandelier, with a diameter of 102cm that is best suited to a larger room with sufficient ceiling height to show this fitting at its best. The Penn large contemporary 18 light brushed brass chandelier, part of the New Classics collection, designed and manufactured by Interiors 1900.